The minute a baby is put in our arms, we can't help but resort to 'baby talk'. We all do it; the 'ooohs' and 'ahhs' and turning your voice that little bit softer as to gain the baby's attention. 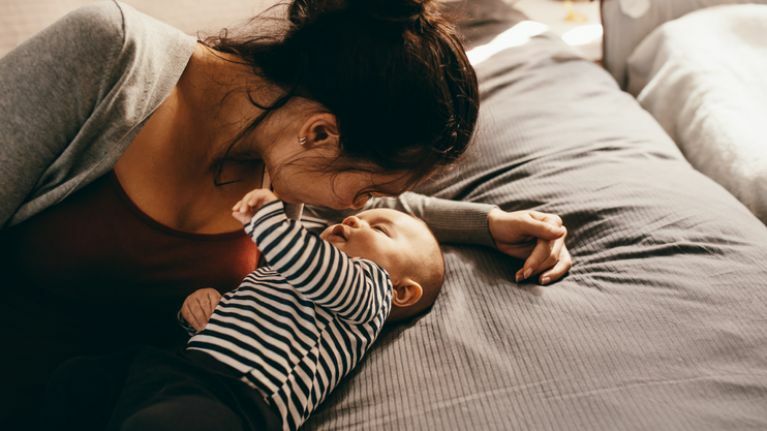 We all think it's a little bit silly, but it's a reflex... and now scientists have found that 'baby talk' is actually quite beneficial for your little one. Researchers from Princeton University asked mothers to record themselves interacting with their child, and then interacting with other adults. They found that what we know as ‘baby talk’ is actually a universal type of ‘motherese’ that helps our babies recognise us. Not only that, but it's also helpful in developing their language skills. So, it's not only English-speaking countries that do it, they also found it happens with Cantonese, French, German, Hebrew, Hungarian, Mandarin, Polish, Russian and Spanish. You learn something new everyday, huh? WATCH: Remember when 7-week-old Luca said 'hello'!